Do you want to upgrade your house? Even small home renovations can be stressful and daunting. Instead of struggling with measurements and getting the right tools, you may want to consider hiring the professionals to do the job. But the question is, where do you look? Moreover, who do you trust? A handyman or a contractor? Word-of-mouth may not form enough trust if you’re looking for someone who can get the job done right. What are some small home renovations? Installing larger fixtures such as ceiling fans, chandeliers, etc. Updating or adding trim, moulding, etc. What’s the difference between handyman and contractor? These terms may seem interchangeable, but they’re not. Handymen and contractors work in different ways. Handymen may not be licensed to perform specialized trades, such as plumbing and electrical jobs. This doesn’t seem like a big deal but if you plan on selling your home in the future, paying someone else to redo the work to ensure everything is up to code may not seem ideal. Contractors, however, are licensed in their specialized trades; if not, they can subcontract to other professionals who are. 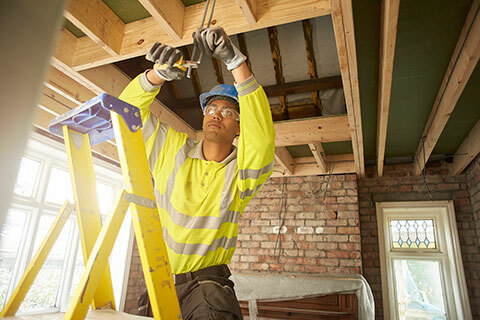 Watch our video on hiring contractors versus handymen. Why avoid hiring a handyman for small home renovations? We suggest to prevent future headaches, to avoid hiring a handyman service to complete your home renovation. While many of these types of contractors can be talented at their selected craft, they often aren’t great at running a proper business. Without the business side of things looked after, it leaves you and your home exposed to issues. Here are a few of the issues you may encounter, should you choose to use a handyman for your renovation. 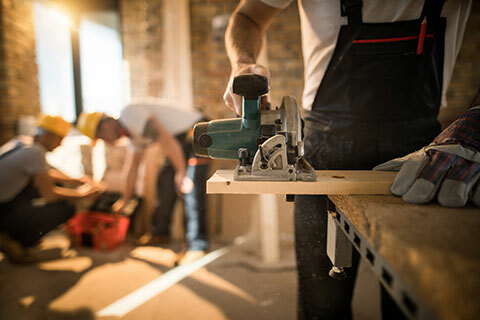 The best way to find a contractor is to conduct interviews and lay out the specific idea you’re looking to achieve through your small home renovations. You want a contractor who is willing to work within your budget without overlooking specific requests. Specifically, we recommend finding a renovator who’s part of the Manitoba Home Builders’ Association. Other certifications which can be achieved by companies are the “Certified Master Renovator” and the “RenoMark” approved builders. Finally, you can turn to non-industry specific resources like the Better Business Bureau association or read Google or Facebook Reviews from past clients of the business. With this research, you should be well on the way to finding a reputable contractor to take on your home renovation. 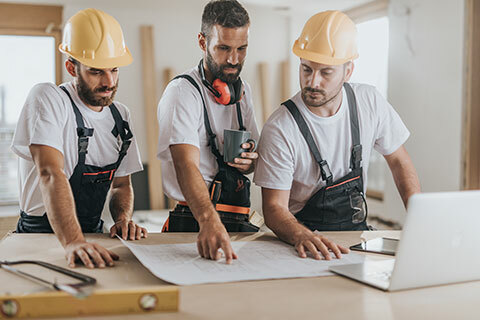 A personable contractor can be great, but if they don’t have all the background paperwork in order, then you may want to pass. Don’t hire a contractor that isn’t fully insured. This is not the same thing as being licensed. You’ll want to find out the specific insurance coverage the renovator has – ie: general insurance, liability insurance, worker compensation, etc. Not having insurance means that if they cause damage to your home, or someone is injured on the job, you might be the one stuck with the bill. We also feel strongly about checking on the renovation company itself. Ask how many years they’ve been in business. Find out if they offer a warranty on their completed home renovations. Do they have a website, a physical location, a P.O. Box number? Is their business incorporated or a Limited company? Depending on how you feel about any of the responses you receive or answers you find out to the questions, may be treated as red flags, which you should steer clear. You’re entering a serious contract when you select a contractor to renovate your home. Here are some other “red flags” to avoid. Perhaps the easiest way to protect yourself is to receive the contract in writing. The home renovation company should also want to deliver the information in a contract, as it can help them protect their business. The contract acts as proof that the organization is legal, charging GST, and gives assurance the project is done for client ‘x’. All of this information shows the business is managed soundly and you’ll receive an invoice and receipt once the job and payment is complete. Instead of having your selected contractor come back to your home every time a new job pops into your mind, consider batching the jobs together. Not only will the tasks be completed faster, but you may even save money in the process. It could also allow you to consider which small jobs may be big jobs in disguise. Having a clearer picture before beginning the work will let your contractor estimate with increased thoroughness and accuracy. Stay on schedule and ask how long projects should take. However, keep in mind that these will be rough estimates and the circumstances of the work may change. Hounding your contractor to meet a deadline will create a negative work environment. It would be best if you asked about timelines but remain patient. Also, if the tasks you hired the contractor for can be broken into chunks – the contractor may not complete all the work in consecutive days. But, in any situation, your contractor should be able to inform you of their schedule in advance. If you’re interested in improving your home or think you want a change, consider contacting us – 204.779.6900 or through our website’s contact us page. At All Canadian Renovations Ltd. we treat each project and job site with the same respect, fairness, and common-sense no matter the amount of the work. Whether you need small home renovations or a complete remodel, be sure you’re working with experienced and insured contractors like us. The repairs to our bathroom are done and the bathroom looks brand new again. Wade did a really good job and we are very pleased that the wall and the other items could look so good again. We are grateful that you went over and above the call of duty to remind us of the upcoming expiration of the warranty. We don’t know of any other company that would have done that let alone come and do the repairs. We will recommend your company to anyone who needs renovations and hope that this will in some way repay you for all you have done for us. Thanks again, Curtis. Much appreciated. Renovating the kitchen can breathe new life into an old house, making your time at home more enjoyable and comfortable, and boost the resale value of your property. 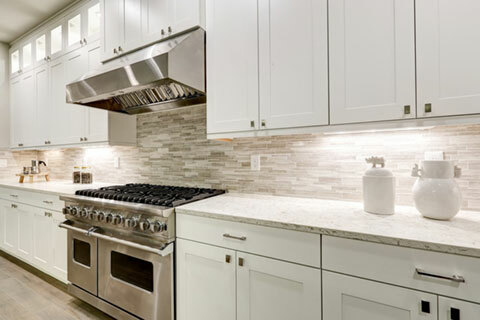 But kitchen renovations aren’t as easy as simply slapping a new coat of paint on the walls and cabinets and calling it “done.” For most homeowners, they will need to hire a reputable contractor to give them the kitchen they want that fits their budget. 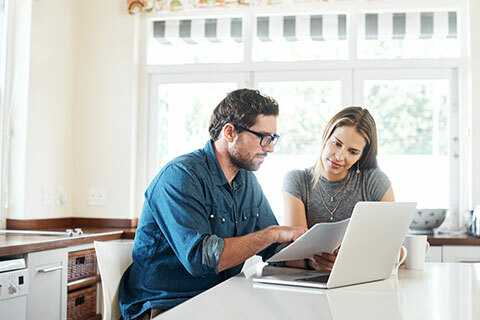 Finding a contractor requires homeowners to get an accurate quote on how much the work will cost, and how long it can reasonably expect to take. So how do kitchen renovation quotes work, and what can you expect? The expert home renovators at All Canadian Renovations Ltd. are happy to explain. What should homeowners do to plan and prepare for a kitchen renovation quote? It depends. If you’re renovating with the goal of selling the home or renovating for your own comfort and enjoyment, your plans will reflect your ultimate goals for a kitchen renovation. For reselling, you’ll want to renovate the kitchen with buyer expectations in mind. You’ll want to aim for either what’s trending in the kitchen or go with simple, traditional styles. If your kitchen renovation is personal, then your needs and desires will be an integral part of your plans. You might want light-colored cabinets, or a new tin backsplash installed. Before contacting a professional for a consultation, have your ideas in mind for what you’d ultimately like to see in your new kitchen. At this stage of the process, you’ll want to decide on your final budget. How long will the kitchen renovation quote consultation take? When you meet with a professional renovator, they will sit down with you and find out exactly what you need and want for your new kitchen. A licensed contractor should listen carefully to your needs, and brainstorm ideas with you. The consultation should be highly personalized. Depending on how in-depth and large of a kitchen renovation you’re looking for, the consultation and planning process can take several hours, and possibly span several days. What is the typical length of the kitchen renovation quote process? After the plans are finalized between you and the renovator, the quote process will begin. In most cases, this can take between seven and ten days. Drawings for your personal kitchen design may take a little longer, depending on the complexity of your kitchen! The final estimate will include the cost of the entire renovation, but will not include the cost of appliances. That is something you will also have to consider during your planning, and with your budget! At Canadian Renovations Ltd., our initial consultation/visit to your home for a kitchen renovation is available to you at no charge. If you’re looking to renovate and breathe new life into your old kitchen, please call us at 204.779.6900 or contact us today, and we’ll be happy to brainstorm a highly personalized kitchen design for you. Home renovations can be a challenge. It takes time, effort, and money to complete any size of remodeling project, but once completed; you will enjoy the space even more. This is no different if your home is smaller. Many of the popular home renovations we complete to smaller homes focus around creating “more space” or “better organization.” Learning about the options for small space home renovations will help you generate ideas as to how you can upgrade your home. Below, are some of the more common requests for small space renovations to get you inspired. Our client’s often hope for “better organization” within their homes, small or otherwise. In these situations, we look at creating built-in storage. The storage created is tailored to the individual, their belongings and personal style. 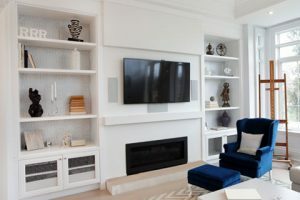 In living areas, we typically create entertainment units or shelving walls, which are perfect for storing television components, toys if you have kids, books, and personal mementos. We can create any storage solution with a variety of options – covered, glass doors, frosted glass, uncovered – and in a wide variety of colors and materials. Another trick we rely on when working with a small space is to utilize the space between teleposts in basements. Often, this space is too small to place furniture. We take advantage of this space by creating cubbies or custom shelving. When we plan your small space home renovation with you, we look to use the nooks and crannies in the walls, adding to the function and style of the space. Many times, a small room will feel smaller when the floor is filled with furniture. To make the room appear larger free of floor space. For furniture, we can create built-in units, which will make the room feel more open. Our team of design-build contractors will be able to consult with you to best use the space we have. We will make recommendations where built-in furniture, such as couches, benches, or banquettes can be installed to free up floor space. Don’t leave any space unfinished. If your home has stairs, this area is usually overlooked or just left as a block of storage. But, without proper shelving and planning, you aren’t using this additional space to its full potential. 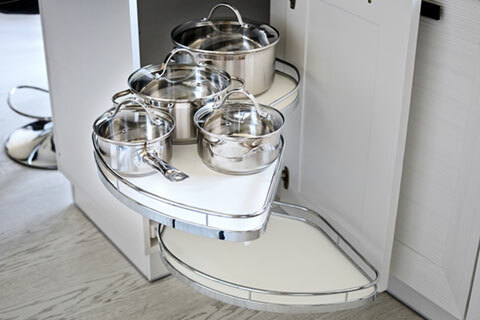 Many homeowners have trouble visualizing how to use this, usually awkward shaped space. When you work with our design-build contracting team – we can give you options to put this space to use in your home. If you need guest space, but need to use the second bedroom as a multipurpose space, consider a murphy bed installation. Smaller homes can function wonderfully with a murphy bed installation. A Murphy bed is a bed that folds up into the wall, keeping the space neat and tidy until the bed is needed. 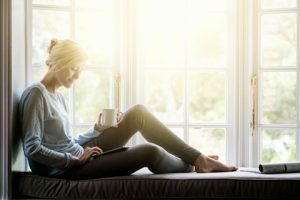 More and more homeowners are adding this option to second bedroom spaces that are used as a guest bedroom as well as office space or other use. Every home renovation project starts with our design-build contractors coming to your home and consulting with you. During this conversation, we learn about your needs. We also take measurements of the space you have and being to formulate a plan to transform the space. We always look to add functionality to the form. In the past we’ve utilized smaller spaces by creating unique shelving and storage, building office nooks, and two-piece powder rooms (sink and toilet). The spaces we’ve worked these small, yet important renovations into can be an unused closet or under the stairs. 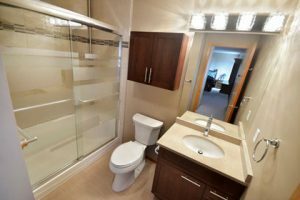 When it comes to small room home renovations, All Canadian Renovations Ltd. is skilled at designing and constructing elegant, yet versatile solutions. We can work with your ideas or we will help you create a plan to make the most of your smaller home. If none of these options seem like a right fit for you, and you feel like you just need more space, maybe consider an addition. Whether it be the main floor addition or adding a second (or third!) storey to your home – almost anything is possible! Working with ACR Ltd. will ensure your renovation project goes off without a hitch, with space renovated and redesigned to your liking. To start the process and receive a consultation from us – give us a call at 204.779.6900 or contact us online! 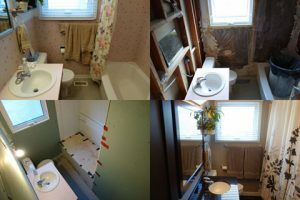 The bathroom renovation is one of the more common rooms to be updated within a home. In older homes, bathrooms are easily outdated. Typically, a bathroom renovation requires new plumbing to meet code standards as well as new fixtures to meet today’s trends. The new plumbing and fixtures can help boost energy efficiency and conserve water. Even in newer homes, you may decide you want a jetted tub or you wish to replace your tub with a shower. Whatever the case may be, planning your bathroom renovation is essential to its success. Planning your bathroom renovation – what changes are to be made? The first decision you need to make for a bathroom remodel is what changes are going to be made. Are you planning to demolish right to the studs? In that situation, you will need to change out everything. Or, are you looking for a lighter touch – perhaps just replacing the vanity and the bathtub? Writing down what you want to change will help you to create a realistic budget. Renovating from top-to-bottom will cost a great deal more than smaller, simpler changes. It’s important to write down each item you plan on replacing. so you can find the products you want to use. This will give your project’s cost the greatest visibility. Once you know the changes you wish to make, you can visit stores or look online for vanities, light fixtures, faucets, etc. Doing the research in advance will help you to price your project and have an idea of what you want. This can lead to less spur of the moment decisions and will give you a chance to watch for sales and discounts. Planning your bathroom renovation – should you hire a professional home renovator? Now that you know your budget and have a few things picked out, it’s time to decide if you will be hiring a professional to complete the bathroom renovation project for you. There is a benefit to completing your bathroom renovation yourself – but also many downsides. If you do not know what you are doing, you can end up having to stop the work and hire someone which may lead to a higher price point. This equation also doesn’t factor in how much your time is worth – could it be better spent with family or doing other things? Planning your bathroom renovation – how to select a home renovator? By hiring a home renovator for your bathroom renovation, you are hiring a professional who understands this line of work. They will know what they are doing and have the experience to complete the project on time. 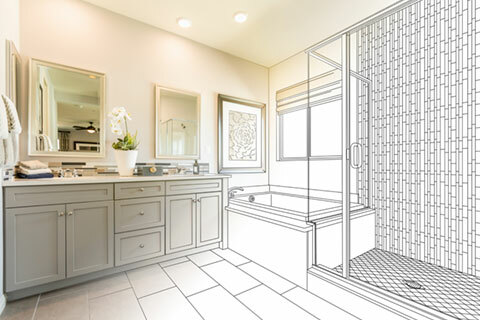 Speaking to our team at All Canadian Renovations Ltd., we know how to handle any problems we may encounter as the bathroom renovation progresses. Having our experience can be invaluable – you never know what’s behind your walls until you’ve knocked them down. Along with our expertise, you can rest assured the renovation will be completed the right way the first time. Our experience plays a major role in completing any bathroom renovation on-time and on budget. Choosing a home renovator is a big job, as you want to hire someone who will do the work correctly and has good standing in the home renovation industry. Specifically, we at ACR Ltd. believe in this – we are part of the Manitoba Home Builders’ Association – where we are recognized as a Certified Master Renovator. We are part of the Renomark contractor network and have won the Consumer Choice award. As well, but not to brag (too much), we have an A+ rating with the Better Business Bureau, a 5/5 rating on Facebook and 4.5/5 star rating on Houzz. And, we recently joined RenovationFind – receiving an A+ rating from their ranking system. If you’re looking for a top home renovation company to complete your bathroom renovation – call us today at 204.779.6900 or contact us through our web-based form. We have vast experience in home renovations and bathroom renovations are one of our many specialties. With our team on your side, we will complete your bathroom renovation project with ease, giving you a new space to enjoy. 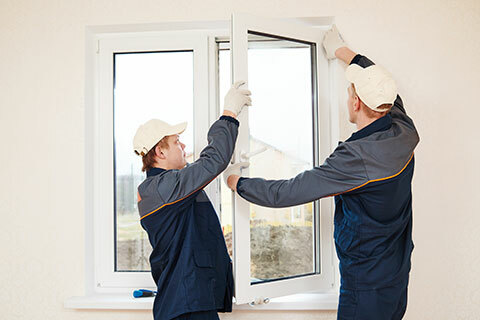 What’s Involved in Replacing Your Windows and Doors? Over time, as a homeowner, you’ll begin to make changes to your property. Changes can be cosmetic like paint color, major renovations to kitchens or bathrooms or building new additions to add square footage. These changes will vary based on your own preferences and budget. However, one common area where changes will need to be made over time, which is easy to overlook, is to your home’s windows and doors. Last month we covered the reasons why replacing your window and doors will benefit your home. As a home continues to age, windows lose energy efficiency. Over time, doors need to be replaced to provide better efficiency or to provide more security in the home. But, what’s involved in replacing your windows and doors of your home? Making upgrades to windows and doors requires several steps. Once you have made the decision to change out these areas of your home, you will need to find a company to assist you with the installation. No matter what type of windows and doors you have in the home, it will require professional assistance. You might be able to complete the work yourself, but in most cases, homeowners tend to run into issues where they need help, such as leveling or sizing. Many problems can arise if your home’s windows and doors aren’t properly installed. With the help of ACR’s professional window and door installers, you’ll see your new windows and doors installed in no time. Our professional installers know how to size up the areas of your home to complete installation correctly the first time. In addition to our installation services, our professional team can guide you through different options for your home. Acting as consultants, we will help you choose higher efficiency windows so the comfort level in the home ideal. For door installation, we’ll guide you through upgrade options to improve the security of your doors by recommending better materials and options. By talking with ACR Ltd., a company specializing in window and door installations, you’ll have all suitable options laid out in front of you, along with our recommendations. The process of changing out windows and doors isn’t for the average handyman. It can become complicated quickly, leaving many homeowners with a mess on their hands. The door and window frames need to be measured with precision. There may be more work involved in leveling the new installation. The right thickness of window and door must also be used. Any casing or framing will need to be reworked or added back in once the new installation is completed. 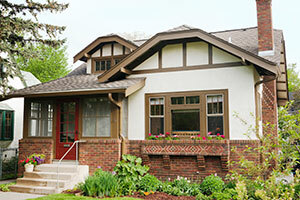 All these factors become more precarious with window and door installation for older homes. Without the knowledge or experience, it takes a lot of hands and time to finish a full installation of windows and doors in the home. As a homeowner, if you’re completing the work yourself, the installation of windows and doors may stretch into multiple days or weeks. It also helps to have the correct tools to complete the tasks – which many homeowners don’t own. 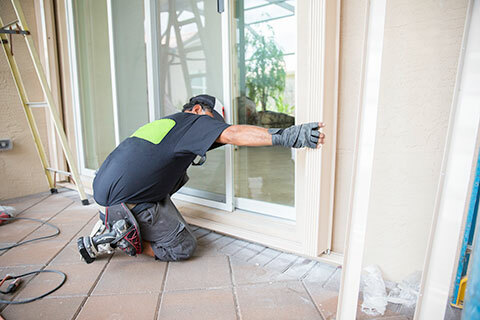 With our team by your side, the new installation can be completed quickly, and you will be able to enjoy your new windows and doors in no time. We still have a couple of months of summer left. If you’ve been thinking about replacing your windows or doors – now is the time! 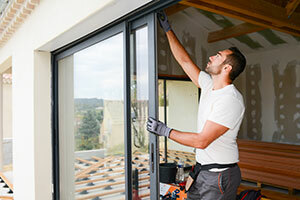 Rely on the experts at ACR Ltd. to assist with your window and door installation needs. Call us today for a free consultation for your home – phone 204.779.6900! The windows and doors of your home are the areas in which you enjoy natural light and gain entry into your space. Most homes are designed to have the right number of windows and doors to provide the homeowner with a comfortable environment. 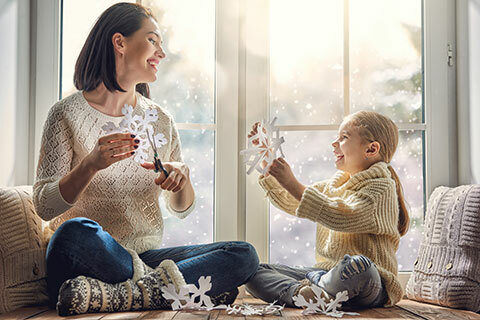 When energy efficient windows are in place, the home can experience comfort no matter the season. Heat stays inside during the winter, and cool air remains in the home during the summer. Both windows and doors need to be sealed properly so that they can help the home remain comfortable and efficient. In an older home, the frames around the doors and windows can begin to lose their sealant. You can feel around the frames to see if any air is escaping. If you feel a breeze, be it hot or cold air, it’s time to consider replacing your doors and windows. If you live in an older home, the summertime months are a perfect time to change out older windows and doors. Preparing your home before winter can ensure that you will not have any cold drafts and that your home will stay comfortable during the colder season. Besides the loss of sealant, technology for how windows and doors are created have come leaps and bounds in the past 20 years. Improvements to every area of windows – how the window operates (open/close), glazing types, triple pane, gas fills, in a wide variety of materials and styles. Similar to windows, door technology and the way they are built has come a long way. Everything from the moulding, frame, panel construction with the core and skin have been improved. 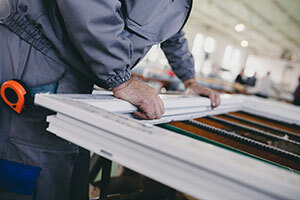 Energy audits have increased in complexity and strictness – and the window and door manufacturing industry has responded. With a new installation, you will be able to update your home any way you like. You can add better energy efficiency within the home with new windows. Review your window operation options and see how you can make changes that will be better for your home. You can also choose windows that look great and give the home more visual appeal. For new doors, you have the option of choosing a new material, colors, decorative door glass and hardware. 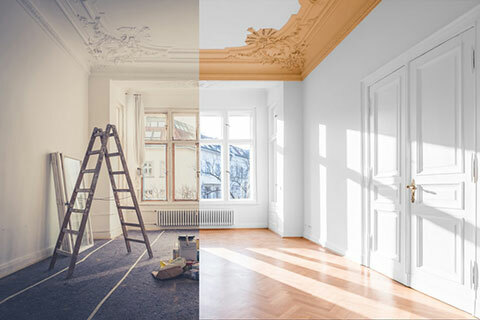 With all this flexibility you can update your home to look more modern or go for a classic touch. Doors come in all shapes and sizes as well as material types and colors, making it easy for you to find a door that will look great in your home. The hardest part may be trying to find which door you wish to install. Changing out the windows and doors is a difficult task unless you have experience as a home contractor. To ensure the project is completed correctly, hire a professional company. We will install your new windows and doors in your home promptly. The project will be completed the right way, the first time and you can then relax and enjoy your new installation. When it comes to working with a professional home renovation company, ACR Ltd. is a top choice in Winnipeg. By working with the experts at ACR Ltd., you will be working with 50 years of experience. ACR Ltd. has vast experience in home renovations, focusing on several areas of installation including windows and doors. You can easily choose what you wish to install and watch as the changes are made to your home, creating a comfortable and enjoyable space for you to enjoy for years to come. 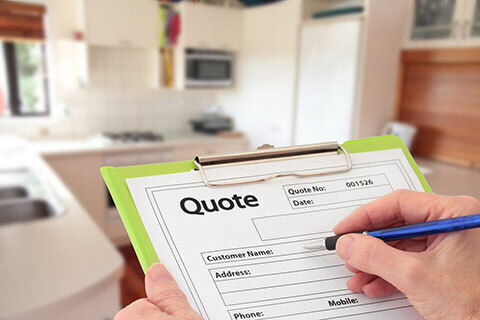 Contact us to request a quote today! Having a basement in your home can provide additional space which is useful for a variety of ways. Homeowners often choose to use a basement for storage, as an extra entertainment space – or both. When moving into a home, some basements are partially finished – or not at all. You’ll need a basement renovation for your home to create the space you wish to have as your basement. But what goes into finished basement renovation? Below, we answer these questions – and more – so you can understand how your basement goes from unfinished to a finished space. Before you can finish your basement, there needs to be a plan created. It is best to work with a home renovation contractor, so you create a plan that will work best for your home. Home renovation contractors who specialize in basement renovations on the various roadblocks and pitfalls – and how to avoid them during your basement renovation. As per of our services, our interior design team will be able to look at the space and devise a plan to create the type of room you wish to have. There are many options and possibilities. Not sure where or how to start to decide it is that you want? Our experienced team of design-build specialists will walk you through every step and decision required. Basements can be made into one large space such as a game room or sectioned off to create multiple rooms, such as additional bedrooms, a bathroom, a home office, etc. Once the basement renovation plan is in place, the construction work can begin. After planning the hands-on renovation work will begin. We take care of it all – the existing basement demolition, framing the walls, insulation and waterproofing of the walls, and electrical wiring. All of our work follows the city of Winnipeg’s building codes, and we obtain the proper permits required for the work we are completing. With the walls constructed, drywall is hung to enclose the framing to create finished walls. Additionally, the sealant may be used depending on the location of the home to ensure no water damage can occur in the basement area over time. With the drywall installed, we typically look to complete installation of the flooring and ceiling. If you have concrete flooring already in place, you can keep it bare and stain or paint it. Laminate or hardwood, as well as tile or carpeting, can be installed to create the final look you are trying to achieve. Our interior design team will be able to help with the flooring decision process if you need assistance. As we are installing flooring and ceiling, we will also be working to add other final construction related items like electrical switches, lights, outlets and other fixtures. 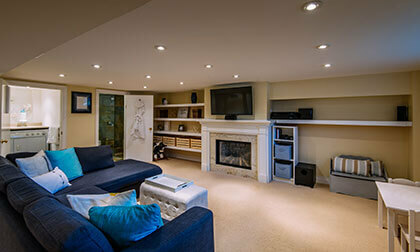 Completing the décor of your new basement space can be the most exciting part for our clients. We can paint to color the walls, which is an easy way to bring color into the new space. You’ll be faced with other key decorating decisions as well, such as seating and other furniture, television, entertainment unit, shelving, etc. Depending on the type of room you are going for, a pool table or foosball table find a finished basement to be a great home. Adding art to the walls and other decorations on some of the furniture will let your personality shine throughout the finished basement space. Once the decorating process is complete – invite your friends and family over to show off your new finished basement! All Canadian Renovations Ltd. is Winnipeg’s go-to company when it comes to creating a stunning finished basement space. Our home renovation contractors are basement finishing experts and are well-equipped to create your finished basement vision. Let’s get started on your basement renovation today – contact us at 204-779-6900 or visit our website for more information. Curtis and his team were knowledgeable and easy to work with. 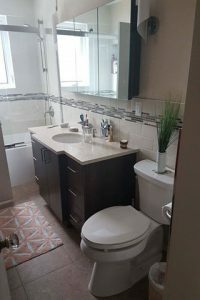 My bathroom reno went smoothly and it looks great!